Medgenics Inc., a biotechnology company in Misgav, Israel and San Francisco, received a U.S. patent for its technology for the sustained delivery of therapeutic proteins to treat anemia. Patent number 8,293,463 was awarded by the U.S. Patent and Trademark Office on 23 October 2012 to 11 inventors, including Andrew Pearlman, president of Medgenics Inc., and assigned to the company. The patent covers Medgenics’ process for creating and delivering proteins as therapies for conditions where the patient is deficient in those proteins. In this case, the protein is erythropoietin, a hormone produced by the kidney that promotes the formation of red blood cells by bone marrow. 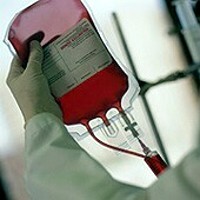 The process using erythropoietin is designed to treat patients with anemia. The therapeutic proteins are made from small samples of the patient’s skin, where the samples are processed outside the body using harmless adenoviruses. The therapeutic proteins then are delivered back to the patient with a miniature pump, called a biopump, implanted under the skin, for six months or more. Medgenics says the initial skin sample can be taken with a minimally invasive procedure in a doctor’s office. Medgenics tested erythropoietin biopump delivery for safety and efficacy in a phase 1/phase 2 clinical trial in Israel with 30 chronic kidney disease patients also suffering from anemia. The company says the trial’s results showed elevation and stabilization of hemoglobin levels by the patients for periods of six to more than 36 months. The company plans further phase 2 trials with dialysis patients in Israel and the U.S. While the patent applies to delivery of erythropoietin to treat anemia, Medgenics says the technology can be applied to other conditions caused by protein deficiencies. Clinical trials are planned for similar systems for patients with hepatitis C and hemophilia. Other potential applications, says the company, include pediatric growth hormone deficiency, multiple sclerosis, arthritis, wound healing, obesity, chronic pain, and cancer recovery.